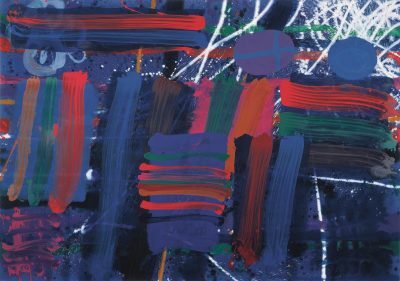 British painter Albert Irvin studied art at Goldsmith’s College, London. 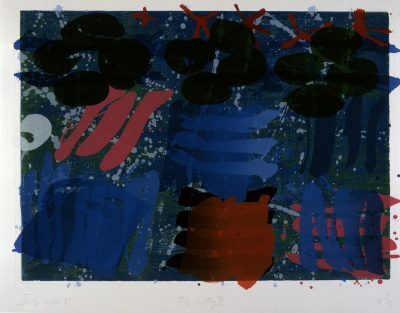 He later returned to Goldsmiths in 1962 where he taught art for over twenty years. 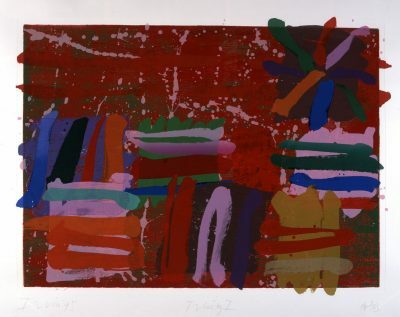 Irvin is best known for his exuberant paintings, watercolours, screenprints and gouaches. His art tends to focus on capturing and exploring the experience of being in the world. Irvin was elected a member of the Royal Academy in 1998 and appointed Officer of the Order of the British Empire (OBE) in 2013.